A college where students get a perfect exposure. Life at JIMMC is just amazing, you enter the college once and you will start loving the environment & the people around you so much that you won't even realize how fast time travels & you never want to leave this. The food provided in the canteen is just amazing with a numerous variety of dishes being offered. You get in as a follower & come out as a leader. The uniqueness of this Institute lies in its training methods that are highly interactive. There is not even a single bad thing that can be brought forward for this college, the life here is amazing & awesome. Jagran Institute of Management and Mass Communication, Established in the year 2005, Jagran Institute of Management and Mass Communication is a premium institute for Mass Communication in India. It has been established by Jagran Education Foundation under the leadership of Shri Yogendra Mohan Gupta. Embellished with Wi-Fi, TV Studio, Library, and a host of other ultra modern amenities, the students are taught and trained in a highly modern. Located in Saket Nagar Kanpur in the lap of the captivating nature, it is designed to provide the best quality education in Mass Communication. You can find the important information in the chart below. Also, you can go through the official website www.jimmc.ac.in for full details. 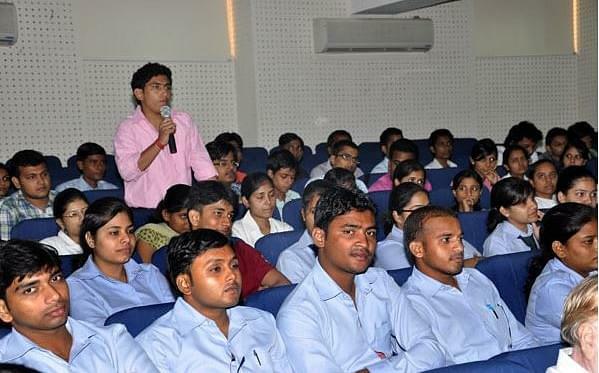 Why Jagran Institute of Management and Mass Communication? A Premium Education Centre: It is one of the top institutes that inculcate education in the field of mass communication. High quality Education: it ensures high quality education under the guidance of highly experienced professors and the media professionals. Ultra modern amenities: The campus is fully embellished with ultra modern amenities and equipments required for ideal mass communication study. Campus Placement: It has several industry partners, and it facilitates the placement of the students by creating campus placement opportunities.